When finished with a project, you may say to yourself, “I am ready to sell. I am going to advertise. I am going to put a sign in the front yard. I may list the property with a real estate agent or sell it For-Sale-By-Owner. Then I can sit back and wait for the buyers to run to me and to make an offer.” Well, it may not be that easy. You may get one offer or multiple offers. Some may be cash offers and some may need financing. Once you receive a purchase offer, consider any potential financing contingencies before accepting it. Remember, you are about to take your property off the market. This can make the difference between a quick or a delayed closing. 1) A cash offer is usually the path of least resistance. Always request a Proof of Funds letter with every offer to buy. This provides proof that the Buyer has sufficient funds to close. If they cannot provide this information, your buyer may not be legitimate. 2) If financing, get a letter. 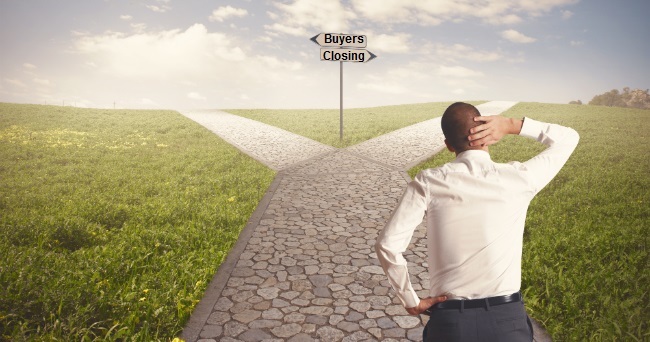 Is the buyer obtaining financing through Fannie Mae, Freddie Mac, FHA, VA or some other source? Always require a prequalification letter, loan approval letter, or commitment letter to be included with the offer or within a specified period of time. Again, if they cannot provide this information at the time of their offer, your buyer may not be legit. A guideline for a specified period of time after an offer is accepted would be 3 days for a pre-qualification letter or 2 to 3 weeks for an approval letter. At a minimum, this reduces your risk of exposure of keeping your home off the market for an extended period of time. Their offer would be considered null and void if the time frames are not met. This instills a sense of urgency for the buyer and lender to perform efficiently. If there are conditions, this is called a conditional approval. Pay attention to these contingencies. It will give you an idea if your buyer is doing what he or she is told to do by their lender. 3) Know who the loan officer or point of contact. These letters show that the buyer has in spoken to a lender and provided their requested documents. The loan officer or the loan processor may be the point of contact in the event that there are any speed bumps during the financing process. 4) Stay on top of that appraisal. Some of the supporting documents required to close are the credit report, pay stubs, bank statements, appraisals, home inspections, surveys and title work, to name a few. Of these items, make sure the appraisal is done as soon as possible because it can make or break a deal. It also provides proof that the loan has been submitted or approved subject to the value of the property. Any delay in getting this ordered is a red flag that something is not progressing as expected. 5) The deposit amount and timing. Sometimes people will make an offer with a 25% deposit. We all like the sound of that and think that this buyer is serious. However, if they do not deposit funds into escrow within a few days, they may be trying to tie up the property. This is something to be aware of as a potential red flag. If they don’t perform right away, it may not matter that your buyer is qualified. They may be wasting your precious time. As a 20 year mortgage broker veteran, feel free to ask me any questions you have during your buyer’s financing process. With all of our joint venture partners, we provide a wealth of knowledge and are here to help. Use us as part of your team to help get you to your next investment project.